Call Now to Book a Cab! Are you looking for prompt taxi services? If so, look no further than Star Cabs. Our team of professionals is here to make your travel easy and comfortable. Since 1995, we have been offering exceptional cab services to the customers in the Metairie area. We are committed to providing prompt and safe airport taxi services. 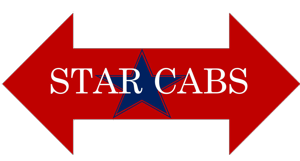 At Star Cabs, our experienced drivers will help you reach your destination safely and on time. Rely on us for a pleasant traveling experience. Call us at (504) 345-1353 to learn more about our services. Copyright © 2018 starcabscompany.net All rights reserved.